While enjoying the sun and waiting for the city inspector's approval for the downstairs steelwork required before the next step, we have targeted our energy to the slat wall project. After extensive analysis and prototyping, we have made a decision to freeze the measurements of each piece to 22 x 30 mm. Finally, for Pekka's great delight, we have started experimenting with some real teak samples with the correct cross sectional dimensions. As described before, quite coincidentally and conveniently, we managed to source this exquisite material grown in sustainable manner in Costa Rica. And based on our experience, we are very happy to recommend them further. For more information please visit www.tiikki.com where you can contact the owner, Tapani, directly. He is a very helpful person always willing to help teak-lover with both smaller and bigger wood-related needs. Before continuing further - please bear in mind one fact. The word "obsession" falls far from describing Pekka's feelings towards his beloved pile of teak downstairs. Therefore, please understand the level of detail in the following description, he just wants you to share his excitement. 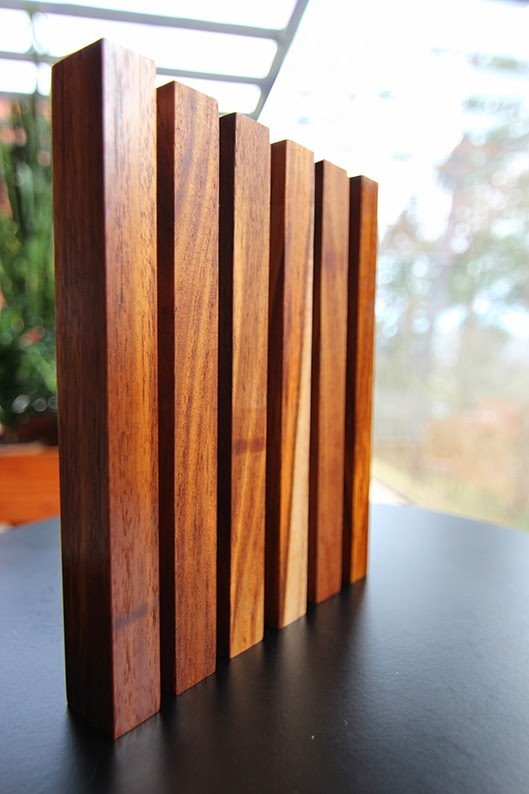 So, how were these awesome slat samples made? Well, considering the note above, the first (mental) obstacle for Pekka was that he needed "do harm", in other words to cut a piece off of his beloved wood. 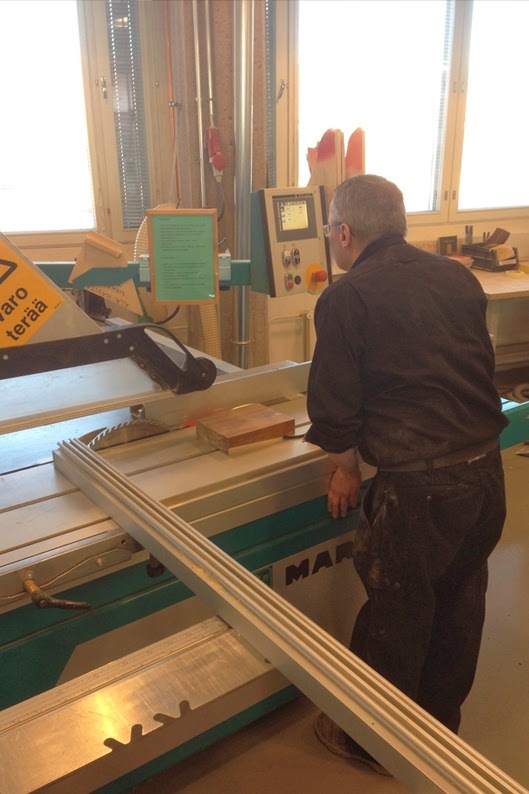 Subsequently, a kind technician at the architectural department of Aalto University helped him to take the test block through several wood working machines to produce slats with the correct size. 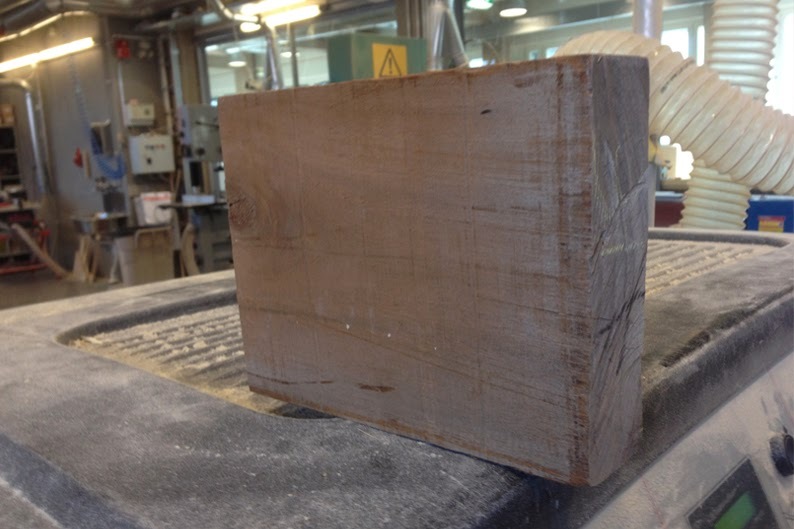 After handling rough planks of wood with surfaces exposed to the normal transportation wear and tear while arriving from Costa Rica to Finland, it was finally exiting to take a deeper look in to the grain. 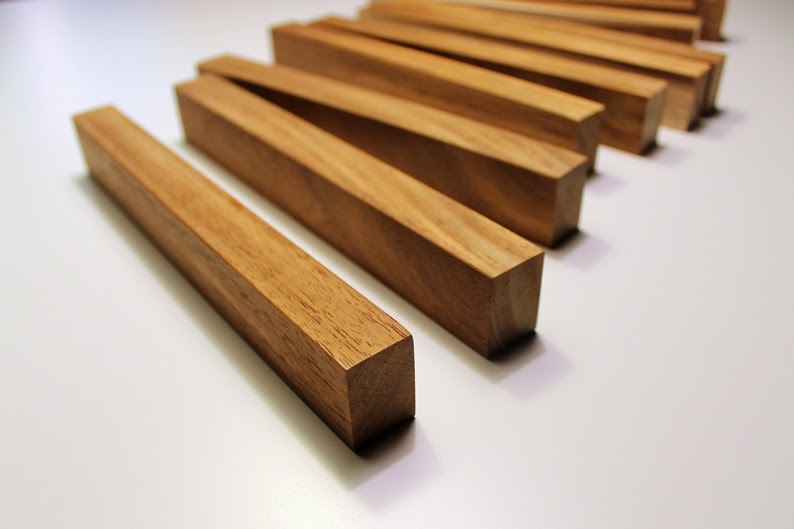 When the wood is cut, one can already get an idea of how it will look when finished. 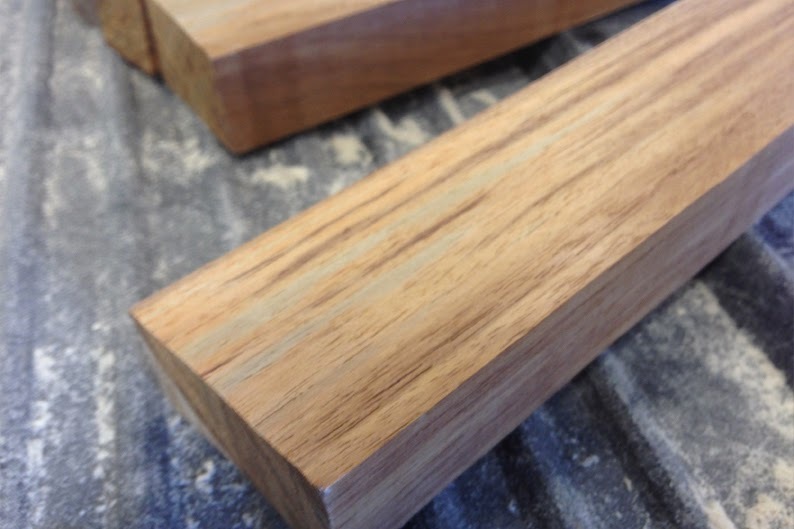 It is not uncommon that freshly cut teak exposes a slighty greenish tone within the grain. 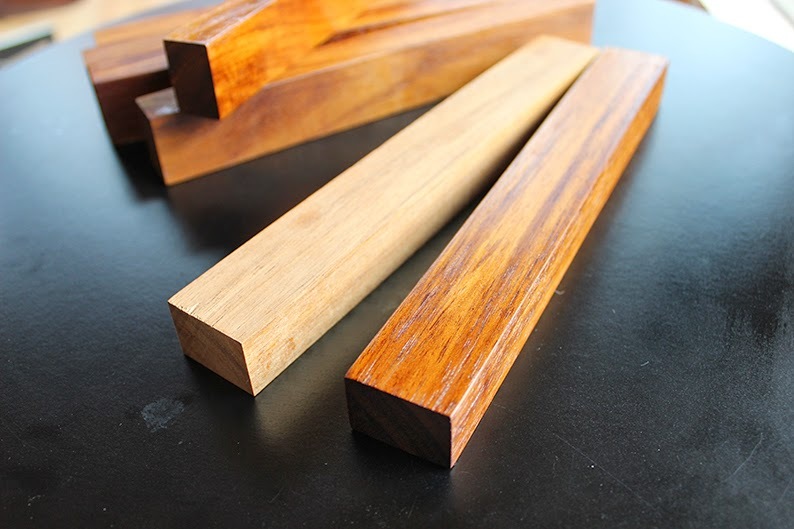 If this were to happen for your beloved teak pieces, there is no need to worry - the green shade will relatively quickly turn into a beautiful brown tone when the wood gets exposed to UV radiation from the sun light. Untreated, the wood would continue changing color from brown to grey - a situation, which is quite familiar for those who do not choose to treat their teak-made garden furniture annually. After the pieces were the correct size, Pekka sanded them with a sandpaper starting from 240 grit and in some cases proceeding even down to 600 grit. The goal of testing with different roughness was to provide insight on what to do in a larger scale when the time comes. With these samples we wanted to try optimise a lengthy process as much as possible in order to avoid any extra work and material loss later on. 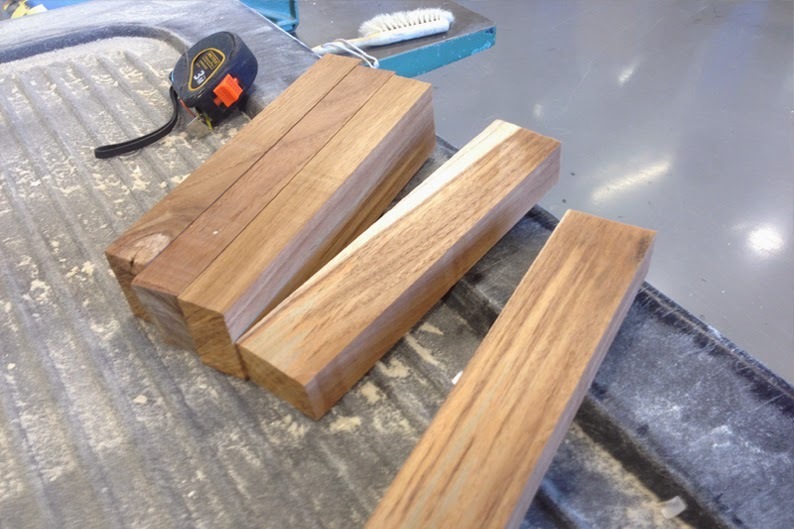 Testing early with different grits is important, but the main reason for cutting the test pieces was to have a possibility to conduct experiments with various wood finishes before committing to treat the entire slats wall to be. 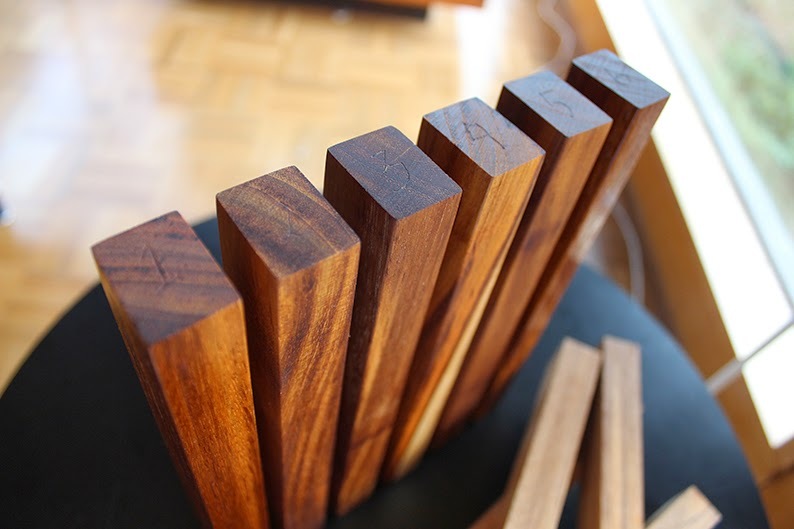 Over the years while restoring vintage furniture Pekka has gathered a nice collection of different wood finishes. Now, when wanting to find the perfect sheen he will, inevitably, end up testing them all. Most of the finishes he has are different types of oils, e.g. the pure Tung and Linseed oils, combined with either Teak and Gun Stock Oil, the latter two being actually oil based blends. Last but not least, just out of curiosity, he will also try a wax finish on one of the test pieces. Applying oil on bare wood can be tricky, and it is recommended really to study the process before starting. 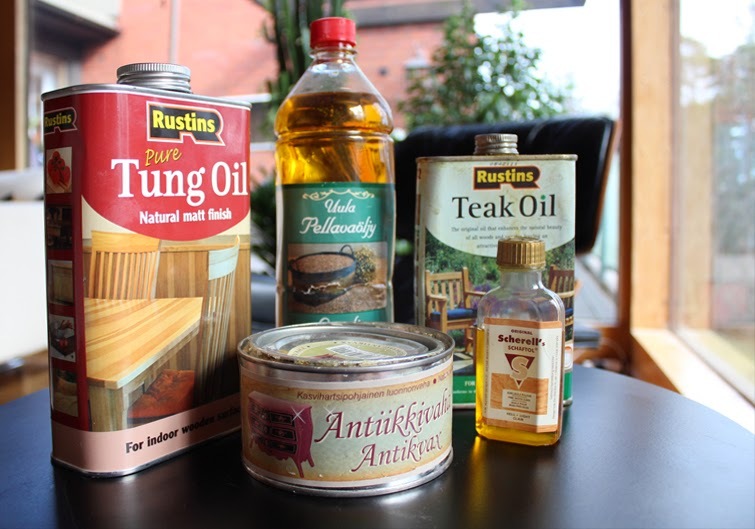 Especially the pure Tung Oil requires close attention, as being a rather thick substance, it can be difficult to spread it evenly on large surfaces. Some suggest to blend the first layer of oil with mineral spirits or turpentine up to 50%. This will make spreading the oil over the wood easier, and a thinner liquid will also penetrate deeper into the grain providing better long-term protection. When dealing with oils one of the most important things is to remember is that its always better to rely on several thin layers rather than one thick one. 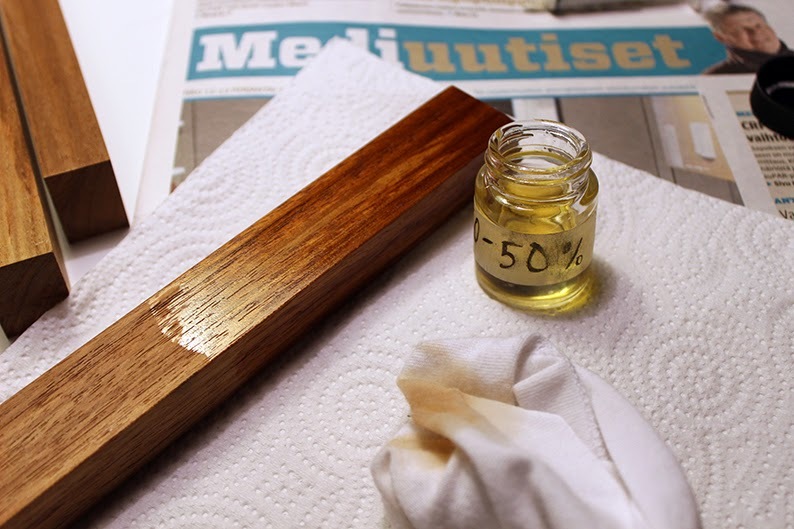 Put some oil on a clean cloth and apply on wood. Leave it for about 20 mins, and subsequently wipe off the remaining oil. Remember, you are not aiming for an actual film, but rather an ultra thin layer supposed to penetrate the wood. After that leave the piece to sit for 24 hours, rub it with ultra fine steel wool (0000) in the direction of the grain and repeat the oil treatment. It is not uncommon that up to 5-10 layers of oil are needed in a search of a good protection and perfect sheen. And this is when the popping (ref. to title) starts to happen. It is amazing how the oil makes the grain "pop" giving the wood a bit of a wet look bringing out the different colors of the grains, eventually giving the material that luxurious sheen very familiar from several MCM furniture pieces. Typical to Pekka, when it comes to exaggeration he is sometimes found guilty of, this part of the project brings no exception. As the Man Cave downstairs is out of use for obvious reasons, our bookshelf in the living room is slowly being populated by teak samples drying between the layers. And yes, the Tung Oil does smell when wet, but what can you do, we are all very familiar with the slogan about beauty and suffering. Every now an then we like to wrap up posts with a picture of our beloved sausage dog, but while the teak piece photo shoot, Urho was for some reason not interested what was going on and thus not around. In these situations if you for example would kindly request him to model fore example, it might be a good idea to check out our bedroom and lift the covers of Urhos "basement". 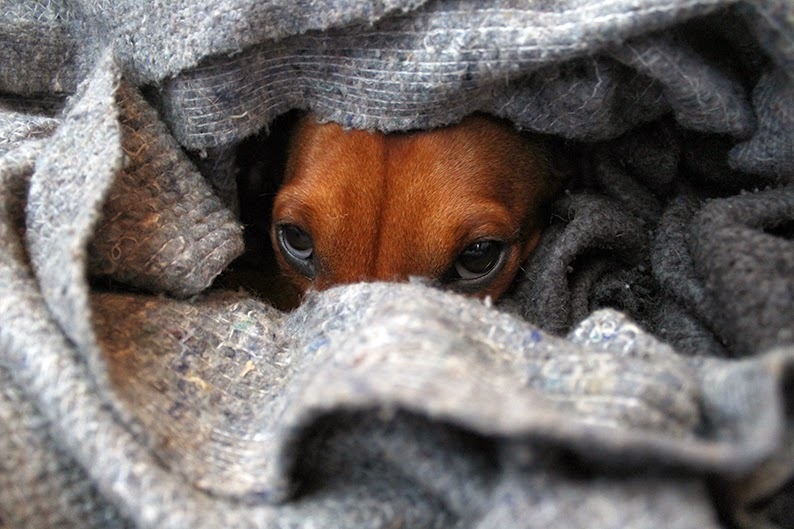 Nine out of ten times (just like this time) he will be found wrapped underneath an extensive number of blankets that smell like - well, a dog.